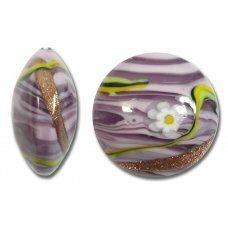 1 Murano Glass Medusa Light Amethyst 24mm Lentil Bead. 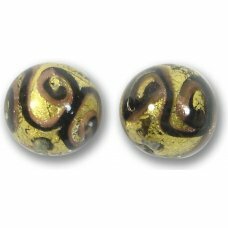 White core with streaks of light and dark ame..
1 Murano Glass Medusa Sapphire 26mm Lentil Bead. 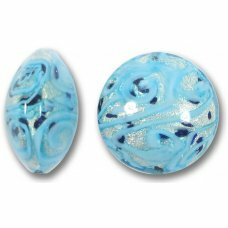 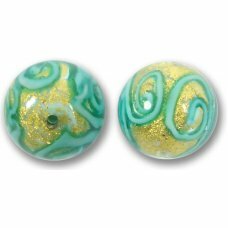 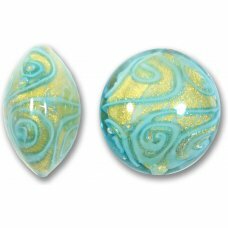 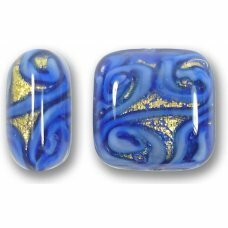 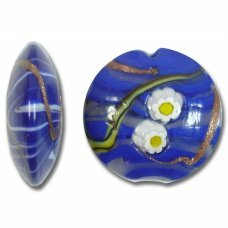 Sapphire core with streaks lime, white, grey and av..
1 Murano Glass Medusa Black 24mm Lentil Bead. 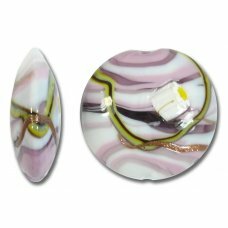 White core with streaks of black and dark amethyst, li..
1 Murano Glass Medusa Ruby 24mm Lentil Bead. 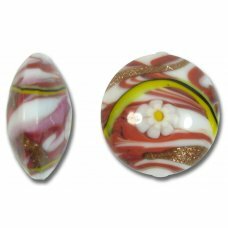 White core with streaks of rose, black, lime and aventu..
1 Murano Glass Medusa Rose 26mm Lentil Bead. 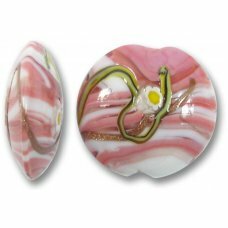 White core with streaks of rose, black, lime and aventu..
1 Murano Glass Medusa Aquamarine 22mm Lentil Bead. 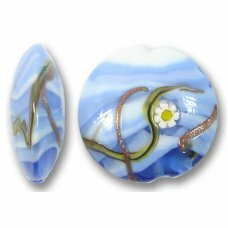 White core with streaks of aquamarine, black, lim..
1 Murano Glass Medusa Rose 22mm Lentil Bead. 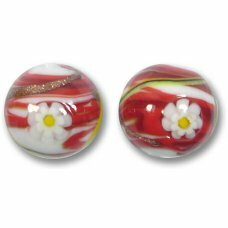 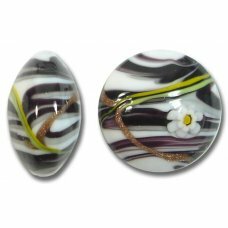 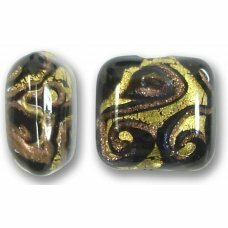 White core with streaks of rose, black, lime and aventu..
1 Murano Glass Medusa Red 22mm Lentil Bead. 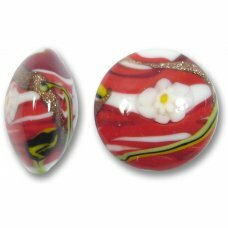 White core with streaks of red, black and lime, aventuri..
1 Murano Glass Red Medusa 16mm Round Bead. 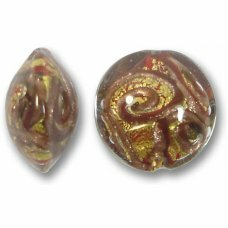 White core with streaks of red with red and yellow s..
1 Murano Glass Medusa Turquoise White Goldfoil 28mm Lentil Bead with swirls of light turquoise over ..
1 Murano Glass Medusa Turquoise Goldfoil 25mm Lentil Bead with swirls of light turquoiseThese beads ..
1 Murano Glass Medusa Sapphire Goldfoil 17mm Cushion shape bead, with swirls of turquoise.These..
1 Murano Glass Medusa Black Goldfoil 17mm Cushion bead, black core with swirls of dark aventuri..
1 Murano Glass Medusa Topaz Goldfoil 18mm Lentil Bead ruby core with swirls of dark aventurine.These..
1 Murano Glass Medusa Turquoise Goldfoil 14mm Round Bead with emerald highlights.These beads (also k..
1 Murano Glass Medusa Dark Topaz and Black Goldfoil 14mm Round BeadThese beads (also known as Veneti..